Scuba Diving Travel Insurance → Get an Instant Quote! 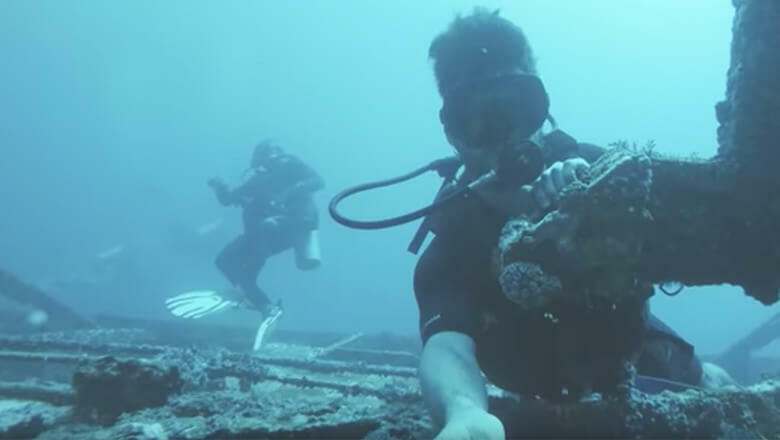 Calm waters, crystal clear visibility and a bulletproof dive plan might make for the perfect underwater adventure, but accidents can happen, even to the most experienced divers. Whether you're learning or you’ve done hundreds of dives, World Nomads travel insurance can help take the pressure off you and your family when the unexpected sinks your next dive trip. As passionate divers ourselves, we’ve designed our plans to cover dives from the Great Blue Hole to The Yongala*. *Note: All plans are different and may require an upgrade to go scuba diving. Conditions and exclusions apply. Read the policy wording carefully to choose the right plan and/or adventure sport option for your trip. If your diving gear is damaged by the airline, World Nomads can help cover some of the cost to replace them. For further info, click here. If you’re hospitalized because of an accident, the insurer can help cover these costs upfront. For further info, click here.